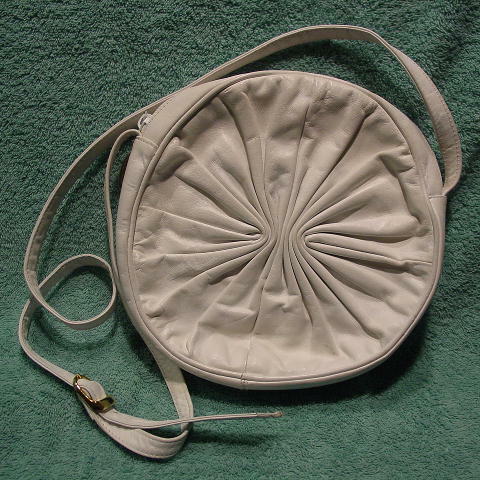 This white leather round purse has gathering on the front side and an open compartment on the back. 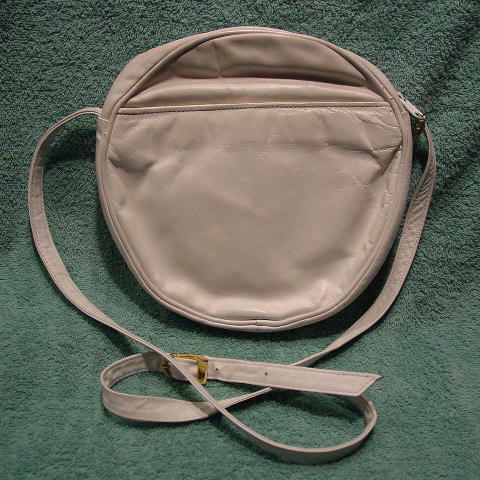 The lining is in a faux leather creamy-bone color and there is an interior zippered pocket. It has a top zipper with an elongated gold-tone logo pull. It has an adjustable 47" by 1/2" long shoulder strap. The bottom interior lining has blue ink marks on the right side and one below the zipper, also on the right side.